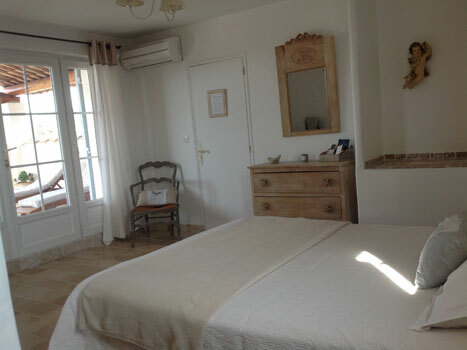 Murielle and Gilles will give you a warm welcome and suggest scenic walks you won't want to miss. 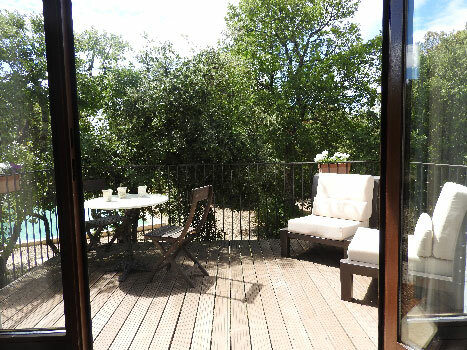 Each room has a terrace to take advantage of the surrounding nature and its own access preserving your independence. 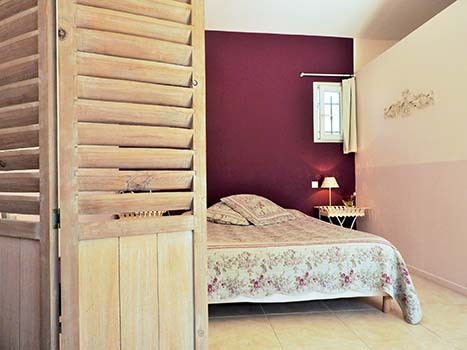 Within easy walking distance from the picturesque village of Saint Saturnin les Apt, discover the Mas de l'Escaillon, nestled among green oaks. 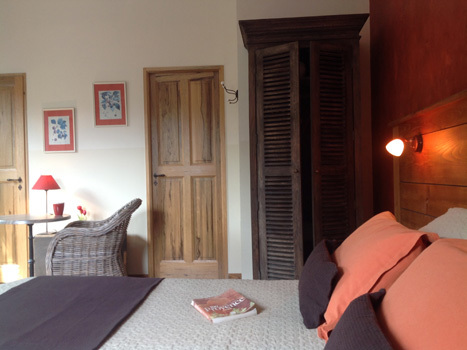 You will stay in one of our 3 charming bedrooms, all spacious, air-conditioned, equipped with a comfortable bed (160 / 200cm | 63 / 79 inches), and a bathroom with a separate toilet. In addition, 1 to 2 times a week, Murielle and Gilles will invite you to have dinner with them. The table d'hôtes is 26 euros per adult (appetizer, starter, main course, dessert, wine, coffee / tea / infusions). 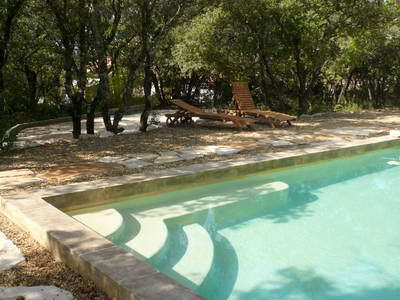 In the summer season, starting in mid-May, you can cool off in the 5 x 12m (16x39 ft) pool reminiscent of old-style pools and relax on a teak deckchair in the shade of the oaks. The Mas de l'Escaillon will be your ideal starting point to make the most of the riches of the region. 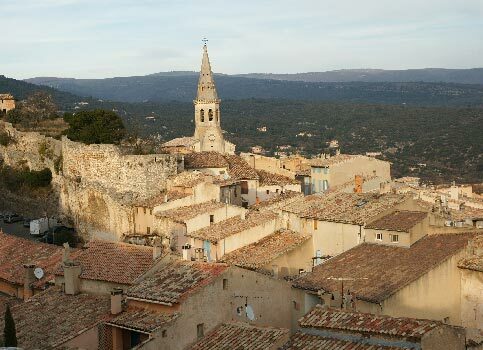 Stunning architecture is plentiful, with the discovery of hilltop villages : starting with the village of Saint Saturnin les Apt, then those of Saignon, Sault, Gordes, Bonnieux, Lacoste, Menerbes, ranked "most beautiful villages of France", all only 20-30 minutes by car. Also, air-balloon flights are available from Roussillon.